Yep, that’s an ice hole, alright. Using a hot-water drill, British scientists have dug a 7,060-foot borehole through the Antarctic ice sheet. The comically long ice hole is the largest ever for West Antarctica, and it’s meant to improve our understanding of climate-related sea level rise. This project, run by the British Antarctic Survey, is called “Bed Access, Monitoring and Ice Sheet History,” or BEAMISH. It began 20 years ago and its scientists tried, unsuccessfully, to drill a hole in 2004. All these years of hard work and planning, it now appears, have finally paid off. On January 8, a crew of 11 BEAMISH team members, after 63 hours of continuous drilling, finally reached down to the sediment below, according to a BAS press release. From top to bottom the hole measures 1.3 miles (2,152 meters or 2.1 kilometers), which is the length of 20 football fields placed end-to-end. This ice hole is now the deepest ever made with a hot-water drill in West Antarctica, the BBC reports. BEAMISH is currently working at the Rutford Ice Stream, a fast-flowing West Antarctic ice stream. 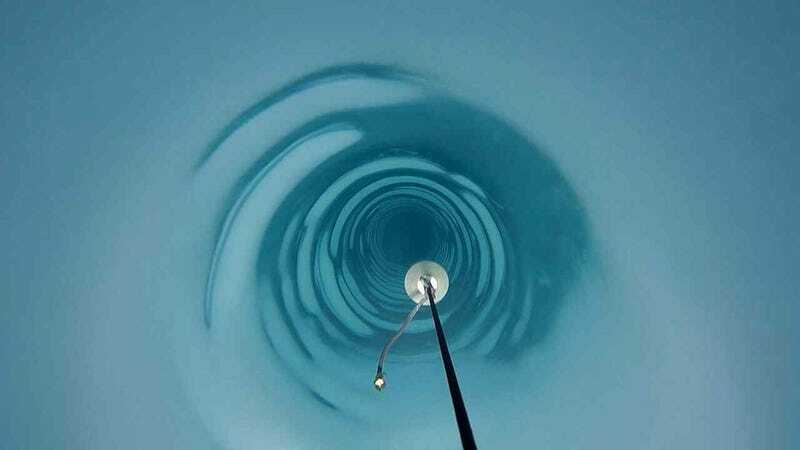 As for the deepest hole of any kind ever drilled in Antarctica, that distinction goes to the 7,290-foot-deep (2,414 meters) borehole forming the IceCube Neutrino Observatory near the South Pole. The BEAMISH team has been working at the Rutford Ice Stream in West Antarctica since November 2018. Once they reached the bottom of the ice sheet to the sediment below, BEAMISH team members sent various instruments down through the bore hole to record ice temperature, water pressure, and to detect any deformations within the ice sheet. Keith Makinson, a physical oceanographer at BAS, said warmer ocean waters are chipping away at many of West Antarctica’s glaciers. On January 22, BEAMISH drilled a second ice hole, and there are now plans for another about a kilometer away. The team will continue to work in Antarctica until mid-February. With summer in full force in Antarctica, scientists are hard at work. In addition to this project, there’s the Subglacial Antarctic Lakes Scientific Access (SALSA) team, which, managed to drill a 4,000-foot hole in late December, reaching a body of water known as Lake Mercer below. ‘Tis the season to be making ice holes, I guess.